Days Inn Calgary North Balzac Hotel Blog: Calgary Comics Expo is back! Calgary Comics Expo is back! It’s time once again for that most magical time of year: the Calgary Comics Expo! Taking place over 4 days from April 26-29 at Stampede Park, this is one of the largest fan expos in Canada. If you live in Western Canada and count yourself a fan of comics, SF, manga/anime or, well, just about anything, you owe it to yourself to visit Calgary for this weekend. You can usually measure how awesome a comic convention or a fan expo is by the highest caliber of star that the event has attracted, and Calgary Comics Expo has some of the biggest featured names you could possibly expect: Michael J. Fox (Back to the Future! Spin City! Doc Hollywood! ), Jason Momoa (Conan, Aquaman, Baywatch! ), and JEFF GOLDBLUM (Jurassic Park! Thor: Ragnarok! BEING JEFF GOLDBLUM! )… and that’s just the tip of the iceberg! The Calgary Comics Expo is full of creators who make the things you love. Comic writers and artists, novelists, voice actors and many, many more. There will be a ton of great attractions like the POW! Parade of Wonders that kicks off the convention with a parade through downtown Calgary. It’s free to attend, but there is a catch – to walk with the parade, you have to be in cosplay! And whether you’re a veteran of the cosplay scene or a newbie, there are contests throughout the weekend for you to test your mettle in making these fantastic characters come to life! There will also be an artbook charity auction, an appearance by legendary Star Wars costume group the 501st Legion, and a display featuring THE DELOREAN FROM BACK TO THE FUTURE! It’s going to be an absolute blast. Find out more here. 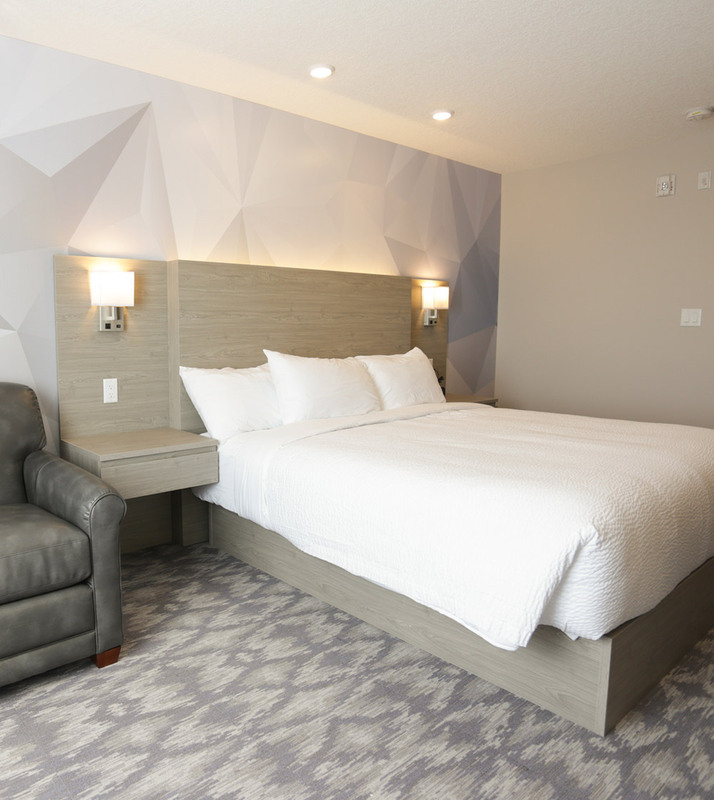 When visiting Calgary, you can make sure you have a great time by staying at the Days Inn Calgary North Balzac. Comfortable beds in stylish rooms mean you’ll be well rested for every day of the con. Going with friends? Look into our group booking rates!